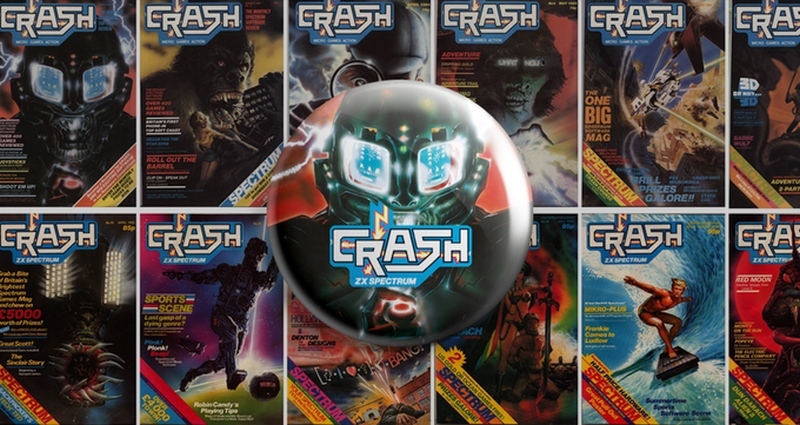 Indie Retro News: Crash 2018 Annual - Kickstarter revival of the classic ZX Spectrum Crash magazine a BIG success! Crash 2018 Annual - Kickstarter revival of the classic ZX Spectrum Crash magazine a BIG success! It wasn't long ago that we told you of Chris Wilkins newest Kickstarter for The Crash 2018 Annual; A revival of the classic ZX Spectrum Crash magazine, wrapped up in the guise of a Christmas annual, with a brand new Oliver Frey Christmas cover! Well we are pleased to tell you not only is this Kickstarter a success, but it has smashed its goal of £12,000, reached £37,545 through a number of awesome stretch goals and there's still 4 days to go! From the same person who gave us some of the best retro gaming books we've seen for a good few years such as The Story of the Commodore 64 in Pixels, The Story of the Oliver Twins and The Story of the ZX Spectrum in Pixels. This latest addition to an ever growing library, will be edited by Roger Kean, cover art by the amazing Oliver Frey, playing tips by Nick Roberts, an adventure trail by Stuart Williams, a Jetman comic strip by both Oliver Frey and Roger Kean, veterans of the gaming industry will also be contributing such as Simon Butler, Jas Austin as well as new adverts for the latest games in the homebrew scene! So with 4 days still to go, you still have the chance to grab one of these awesome books filled with 112 pages in full colour for the very first time as a hardback with not just many reviews of the games from the last 20 years or so!